I spent 3 mornings at Higbee Beach this past weekend hoping for migrating warblers. The good news is that we did get to see some "eye candy". The bad news is that I didn't get any good photos due to the low light conditions, so bear with me here. 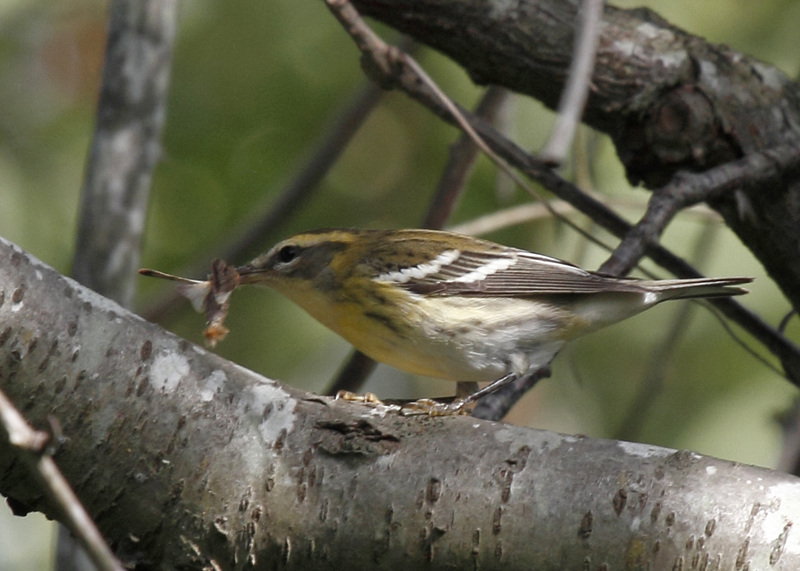 Blue-winged warblers must like to migrate in August, because I saw one each day this weekend. They are handsome birds and can be found at Lake Nockamixon in spring and summer where they nest. Black and White warblers are one of my favorite warblers even though they aren't colorful. 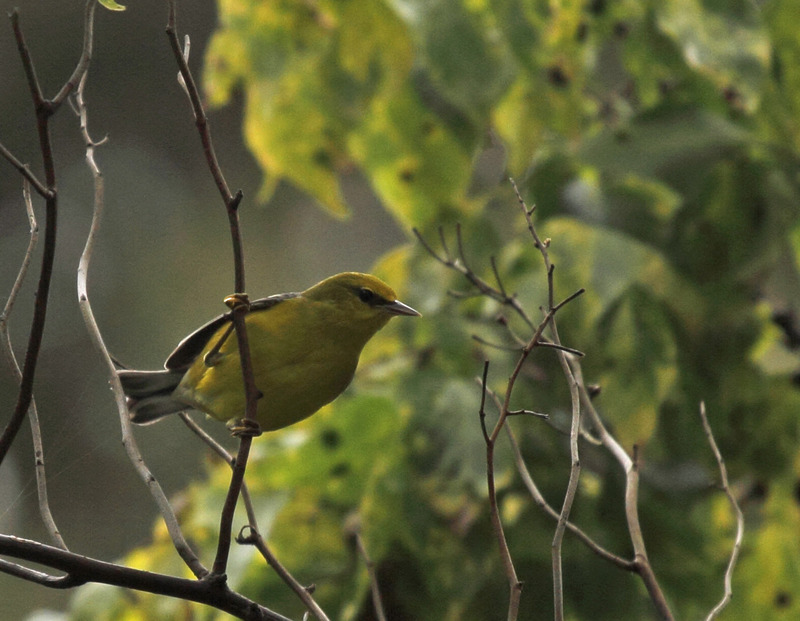 Blackburnian warblers have bright orange throats in summer. You can see that this guy has already started to molt into winter plumage but you can still identify it by the 2 bright wing bars and yellow eyebrow. 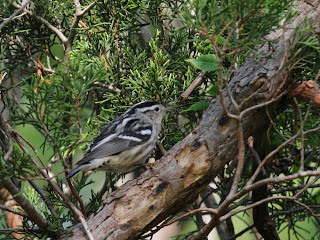 This bird entertained us by catching and devouring a moth while about a dozen birders watched. 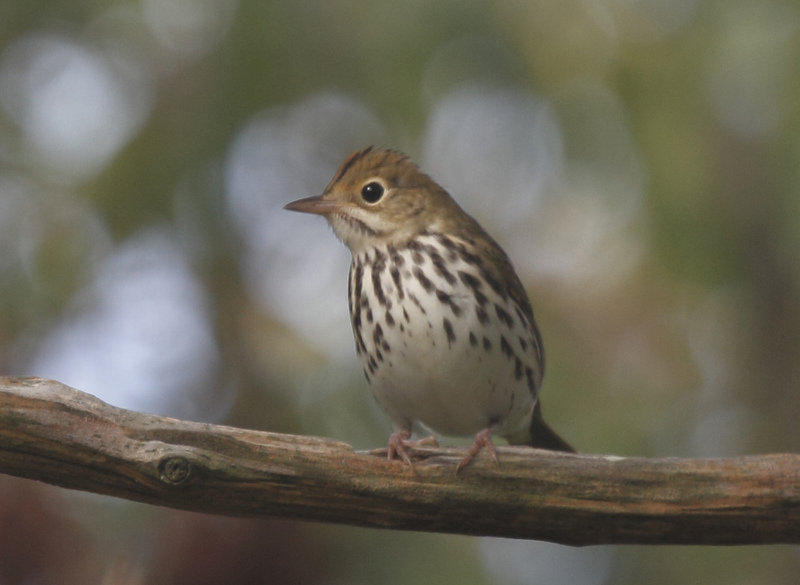 This is one of the best photos I have of an Ovenbird. This bird popped up out of the bushes after I scared away a Cooper's Hawk that was hoping to have this bird for a meal. I guess this guy was thanking me by posing. 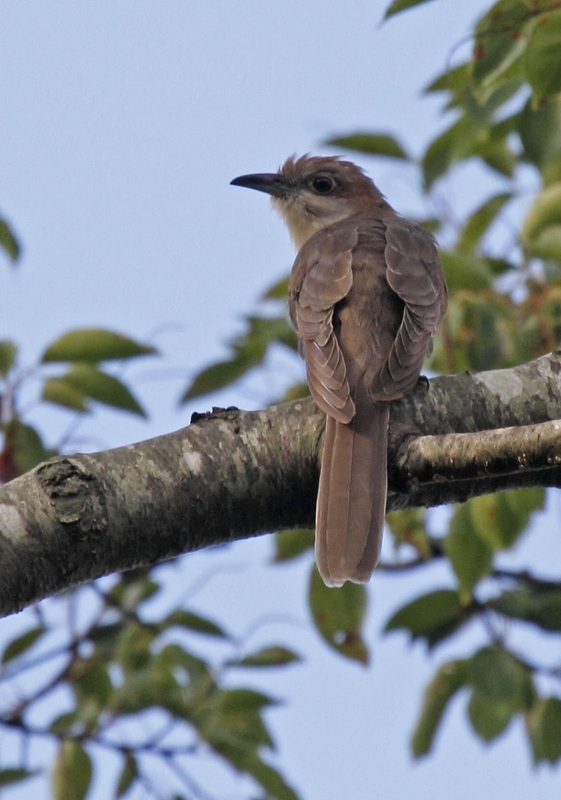 I also got photos of some non-warblers like this Black-billed Cuckoo. We usually see Yellow-billed Cuckoos. Black-bills are not seen as often on migration so this is a pretty good find. Speaking of cuckoos, Diane grabbed the camera and snuck a photo of me in a typical birding pose. 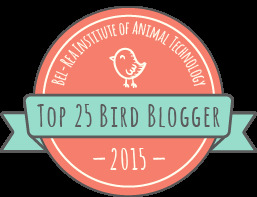 You can just imagine the bubble coming out of my head - "what kind of bird is that?" Speaking of "what kind of bird is that?" I am still not sure what kind of bird that this one is. I called it Blue Grosbeak but frankly, it could be a bunting or some kind of blackbird for all I know. Just when I thought I was getting good at this - BAM, I'm stumped. This is what makes me look like that photo! great pics! You're hair is getting long, you're gonna have a pony tail soon. Best picture I have ever seen of you! Birds looked pretty good, too. 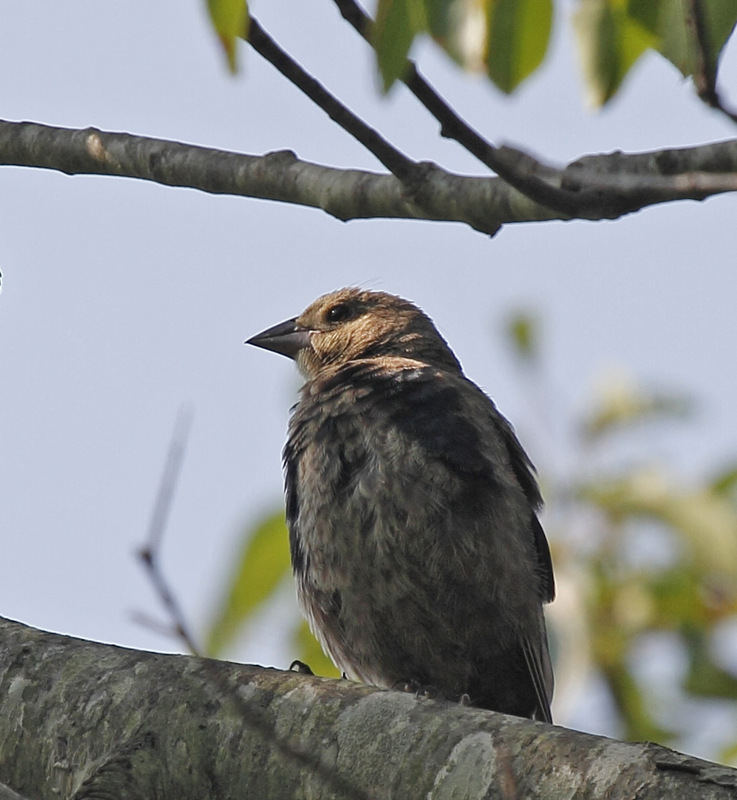 BTW, the mystery bird is a cowbird! We met a guy this weekend who set us straight on it.